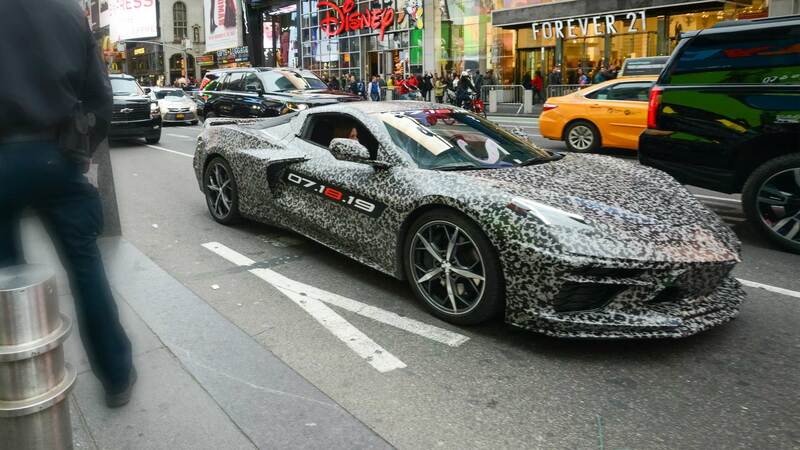 GM has confirmed the reveal date of the next generation Corvette with a special camouflage. The C8 Corvette will arrive as a mid-engined supercar on 18th July, 2019. While the camouflage does manage to hide some design elements, it gives us a hint of an evolutionary design. 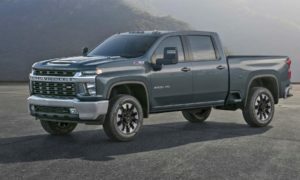 We can still see those triangular headlamps with angular DRLs, large intakes on the bumper, a splitter, large scoop on the doors to redirect air towards the engine, and what appears to be a fixed wing at the rear. 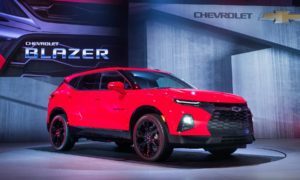 Speaking of the rear-end, we can also see narrow tail lamps with dynamic turn signals (watch the video above). Twin tailpipes on either ends looks old fashioned but sometimes its probably best to keep things that way. Those 5-spokes in the wheels have an additional petal-like design to accompany them. 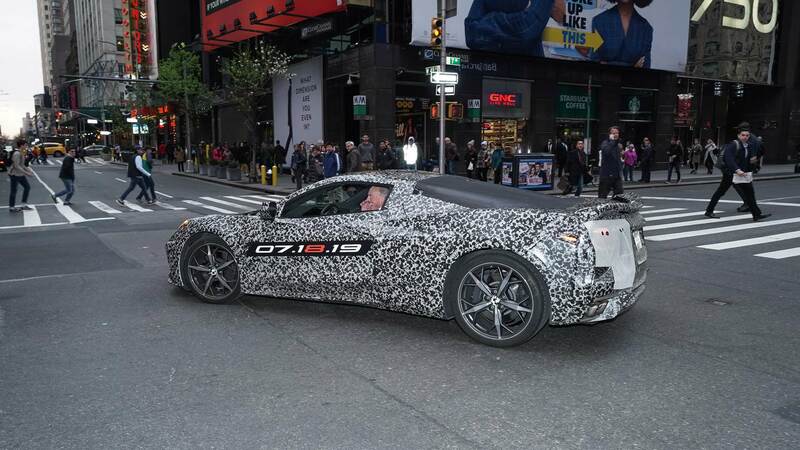 Not much information is available to share at the moment, but the C8 Corvette will most likely continue with a V8 powerplant.